1. Wash, and chop beans finely and keep it aside. Peel garlic pods, cut red chilli into pieces,grate coconut and keep aside as shown in image-2. 2. Place a skillet with 3-4 Teaspoons of cooking oil on medium flame. When hot, add peeled garlic from step-1 to it till it turns light brown. When garlic looks nearly well fried, add red chilli pieces too to it and fry for a while. 3. Add chopped French beans from step-1; also add dhania-jeera powder and salt into the skillet. Place water in a plate above the dish so that the beans cooks faster without loosing the oil content or nutrients. 1. We need fresh and very tender beans for this dish. 2. Garlic pods can even be increased/decreased as per one’s taste. 3. The dish should not be highly spiced and hence use Byadgi chilli. 4. The reason to place water above the dish is to make the dish aromatic and also to preserve the nutrients and the oil content. This entry was posted in Uncategorized and tagged 15 minutes, Konkani dishes, Lunch box, Lunch side dish. Banana blossom is not very popular, however, we use it in our cuisine since it is healthy with high fibre content. We get around 4-5 Blossoms in a year in our garden and we use it in the preparation of this wet chutney which tastes well and gives a lovely flavour and aroma to the dish. The recipe is very easy and here it is. 1. Take off the outer 3-4 covers of the blossom and chop the inside tender portion of the blossom and soak it in water overnight. Wash, peel and chop onions as well. Grate coconut, and wash and chop cilantro too and keep it aside as shown in image-1. 2. Place a skillet with 1 Teaspoon of cooking oil in it on medium flame and fry chopped blossom adding a little salt till the raw smell disappears and a pleasant aroma is given out. Keep stirrng constantly. 3. Grind fried banana blossoms, ginger, onion, bilimbi, grated coconut, cilantro, curry leaves and required quantity of salt in the mixer adding water in steps to a medium fine consistency. 4. Serve it with idli, chapati and roti too. 1. The reason to chop off the outer cover of the blossom is that the outer portion will be very hard and will be tough to grind too . 2. One can even use red chilly in place of green chilly and tamarind in place of bilimbi. 3. Soaking it in water will reduce the black coloured water which we get even if we soak it overnight. This entry was posted in Uncategorized and tagged 15 minutes, Dosa hut, Idlis, Konkani dishes, Wet chutney. 1. Preparing home-made coconut milk: Grate coconut and grind it in the mixer adding water in steps to a medium coarse consistency. Then, to extract coconut milk, strain the ground mix in a strainer. Add some more water and grind again so that you get some more coconut milk on straining. Coconut milk is as shown in image-2 (above). 2. Wash, peel and chop mango into small pieces as many as required to add to Aamras as garnishing. Grind the remaining pieces it in the mixer with chopped jaggery into a smooth paste. Add this paste to the coconut milk from step-1 to it. 3. Add the mango pulp to coconut milk and stir well. Wash and squeeze water from beaten rice and add it to the same mix. Peel cardamom and powder it and add to it. Aamras is ready to be served either chilled or at normal temperature. Add chopped mango pieces too. 4. Transfer to serving bowls and serve chilled. Like I always say – Yummmmmmmmmmmmm !!! 1. Use fresh, sweet and pulpy mangoes like the Ratnagiri Appus or even Pyry variety. 2. 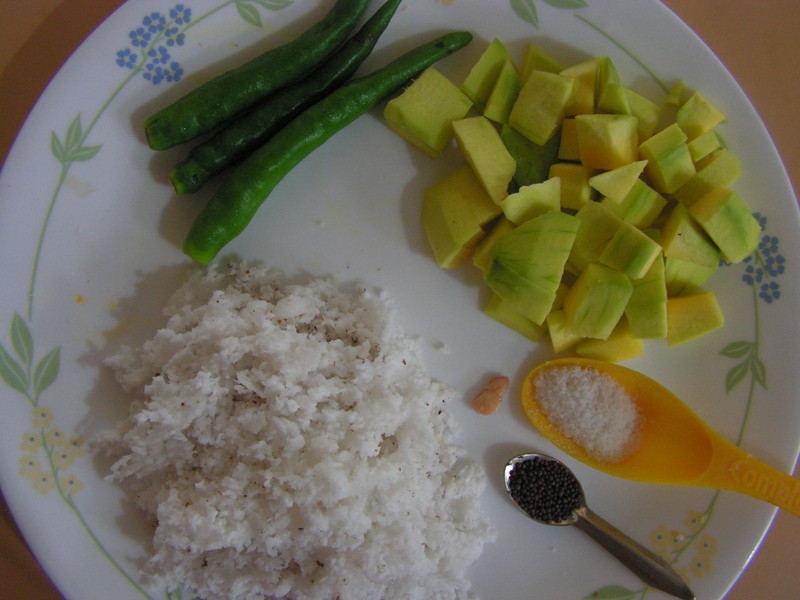 Tangy variety of mangoes will curdle coconut milk and may spoil the taste of the dish. 3. One can even use the coconut milk available in super bazar as well, but as far as possible home made coconut milk is always more welcome. 4. Adding beaten rice is optional. This entry was posted in Uncategorized and tagged 15 minutes, Juices, Konkani dishes, Konkani food, Side dish for Rotis, Summer food, Sweets. The season of mangoes is almost done and I had prepared this chutney during the season. Raw Mangoes is used to prepare chithranna, menskai, and also in different varieties of kosambari and also in the preparation of chutney which can be enjoyed with idli, dosa, chapati and roti. This is to be added to the long list of wet chutneys that I have already uploaded on this blog. Raw mango makes for a very simple but yummy chutney and an easy recipe for beginers too. Here it is. 5. Salt – As per taste. 1. Wash, peel and chop raw mango into bite size pieces as shown in image-2. 2. Grate coconut as well and keep it aside. 3. Place a spatula with 1/2 teaspoon cooking oil in it on low flame and fry asafoetida in it till crispy. Also fry green chilly in it till done. (Break it into pieces to avoid it from bursting.) Fry mustard seeds as well in it. 1. Use fresh raw and tangy mangoes for the dish. 2. The chutney should be thick in consistency so that it can be used for lunch as well as a side dish with rice and dalithoy which is also a good combo. 3. No need to use either tamarind or bilimbi as raw mango itself is tangy . 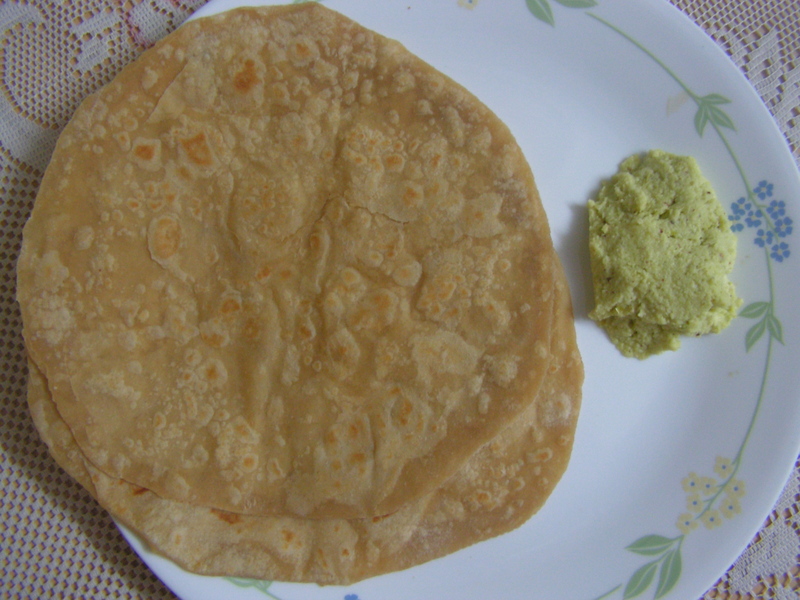 This entry was posted in Uncategorized and tagged 15 minutes, Dosa hut, Side dish for Rotis, Wet chutney. 1. Wash and chop both mint and cilantro/coriander leaves and keep it aside. 2. Clean roast bengalgram dal, and chop off the stem of bilimbi as well. 3. Grind chopped cilantro, pudina, green chilly, roasted bengalgram dal, bilimbi, salt and a pinch of sugar in the mixer adding water in steps to a required medium coarse consistency. 4. Transfer it to a serving bowl. 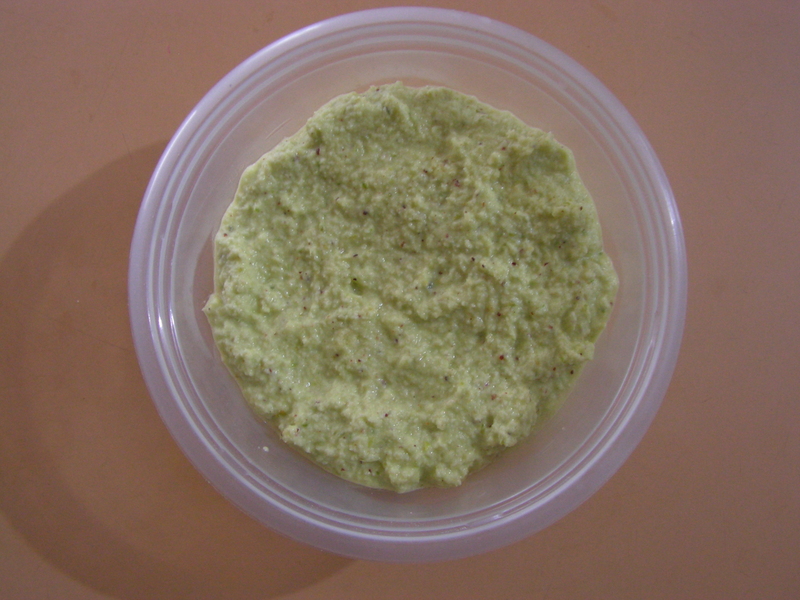 Ready to serve pudina chutney is as shown in the image below. 1. Quantity of both cilantro and pudina depends upon one’s palate, so also green chilly. 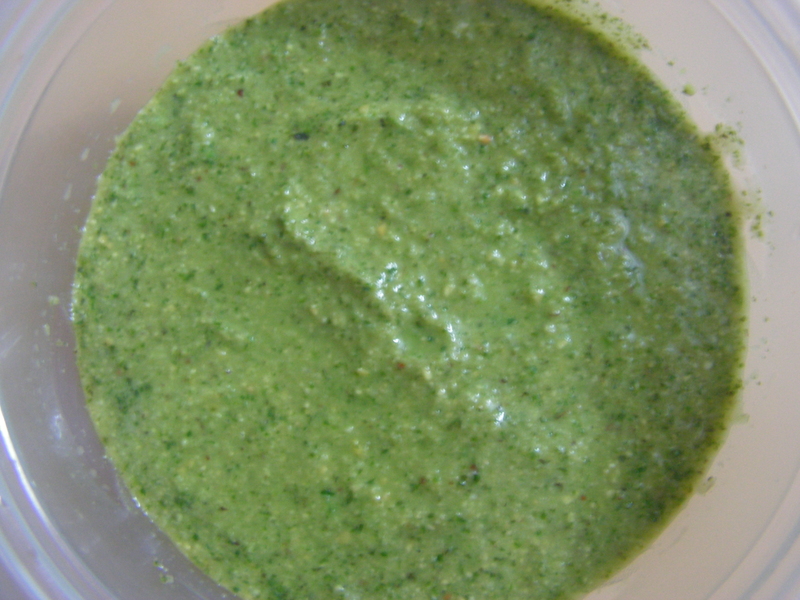 2.The consistency of chutney should be always medium coarse, to avoid it from being tasteless. 3. Can store in the refrigerator for 4-5 days and used as a spread in sandwiches or as dips for other snacks. This entry was posted in Uncategorized and tagged 15 minutes, Spicy snacks, Wet chutney. 1.Place a spatula with 4 teaspoons of cooking oil in on low flame. Fry asafoetida till done and keep it aside. In the same oil, fry cumin seeds and pepper corns in till done. 2. Empty the spatula and adding little more oil fry bengalgram dal in it. When half done add blackgram dal to it and fry together till crispy and light brown. 3. Dry roast copra in the spatula till crispy and light brown in colour. Empty it and fry red chilly in oil till crispy on low flame only. Be careful to ensure that it is not burnt. 4. Cool the roasted ingredients and is as shown in the image below. 5. Grind it in the mixer to a medium coarse consistency. 1. One can modulate the number of chillies used according to the level of spice one prefers. 2. Store it in air-tight container in the freezer if to be used for a long time. This entry was posted in Uncategorized and tagged 15 minutes, Dry powders. The Mango season is in full flourish now, making it easy to experiment with this lovable fruit. I thought of putting this up as it is a very easy dish for the beginners and amateurs. In summer, I typically like to prepare either salads or gojju which need no cooking and that will be also pleasant for lunch in the noon when it is very hot. This dish ideally needs wild tangy and sweet mangoes with pulp. One can enjoy it with dal and rice. 1. Wash, peel and squeeze the mangoes in a bowl. Also add a little water to the skin and squeeze out juice if any. 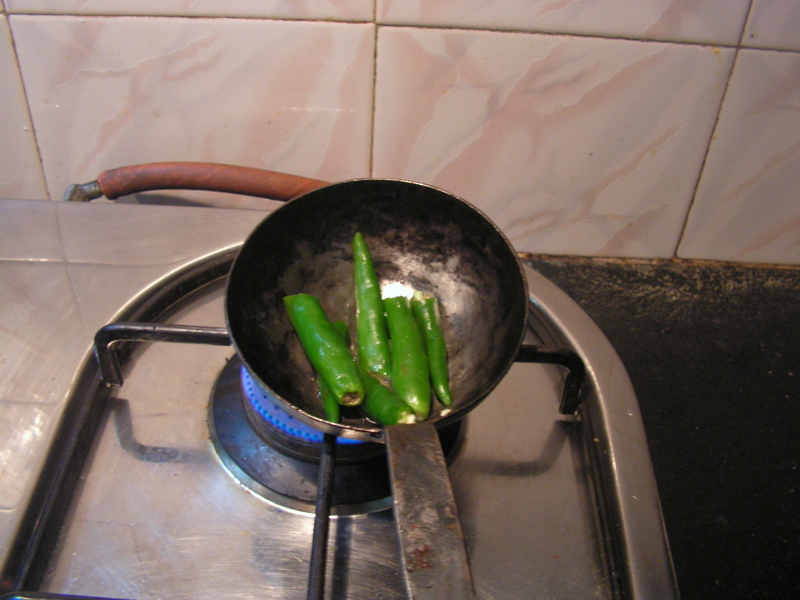 Wash and chop green chilly into two pieces so that it is convenient to fry in oil. Chop jaggery as well and keep it aside. 2. Place a spatula 1/2 Teaspoon cooking oil in it on low flame and fry chopped green chilly in it for a while. When cooled just squeeze it with salt and jaggery in a separate bowl and mix it to the mango pulp from step-1. 3. Place a spatula with 1 Teaspoon of cooking oil in on low flame. When hot, add mustard seeds to it. Once it splutters, add curry leaves to it and season it to the mango pulp from step-1 to it. Place squeezed mango in it and dip it in the gravy and enjoy. Finally add fresh grated coconut too. Enjoy with rice and dal. 2. Jaggery will make the dish tastier. 3. Seasoning with mustard and squeezing it in the dish will add flavour and aroma. 4. Use water to bring it to the required consistency. This entry was posted in Uncategorized and tagged 15 minutes, Konkani dishes, Konkani food, Lunch side dish, Seasonal.